One way to graph functions is to simply plot points. 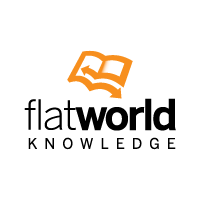 In this section, we cover a method used to quickly sketch graphs related to some basic functions. Here we focus on rigid transformations, that is, transformations that do not change the shape of the graph. 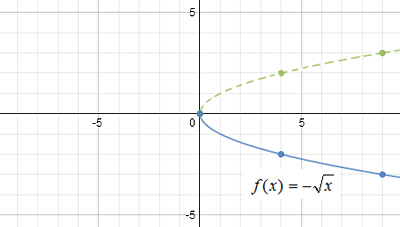 Using this basic graph and the vertical translations described above we can sketch f(x) = sqrt(x) + 2 by shifting all of the points up 2 units. Similarly, graph g(x) = sqrt(x) − 3 by shifting all points down 3 units. Using the graph of f(x) = sqrt(x) and the horizontal translations described above we can sketch f(x) = sqrt(x + 4) by shifting all of the points left 4 units. Similarly, graph g(x) = sqrt(x − 3) by shifting all points right 3 units. Using the graph of f(x) = sqrt(x) sketch the graph of f(x) = −sqrt(x) by reflecting all of the points about the x-axis. Similarly, graph f(x) = sqrt(−x) by reflecting all of the points about the y-axis. 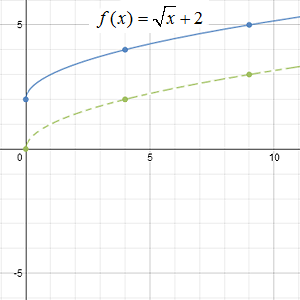 For the first function f(x) = −sqrt(x) all of the y-values are negative which results in a reflection about the x-axis. For the second function f(x) = sqrt(−x) all of the x-values must be negative thus resulting in a reflection about the y-axis. 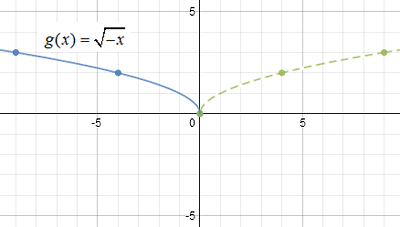 The -1 indicates a reflection of the graph of the squaring function f(x) = x^2 about the x-axis. 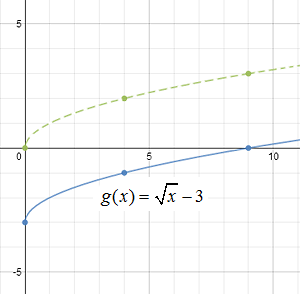 Be sure to graph the squaring function using a dashed curve because it will be used as a guide and is not the answer. 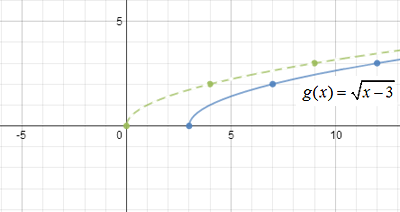 Next, reflect all points about the x-axis and draw in the final graph with a solid curve. 1. Identify and graph the basic function using a dashed curve. 2. Identify any reflections first and sketch them using the basic function as a guide. 4. 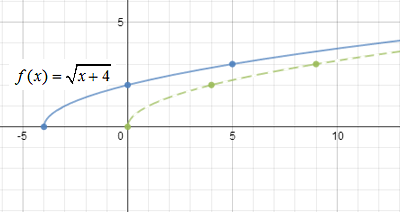 Use this information to sketch the final graph using a solid curve. Graph the function and determine the domain and range. Use the transformations to determine the equation that represents the given function. And finally, we see a shift up 1 unit. And finally, we see a shift down 2 units.